Do you like to burn candles? I do. I love to burn candles. I love scenes on TV shows or in movies where the room is just filled with candles. But I always wonder how long it took them to light all those candles. I mean, in reality they have a team of people come in to light the candles – or so I think. But if it were the character in the show, how long would it have taken them to light that many candles? Do you know the scenes I am talking about? The ones where there are at least 40 to 75 different sized candles burning. It would take a long time to get that many candles lit. And then you have the danger of the candles being knocked down. Ok . . . so even though I love the look, I wouldn’t necessarily have that many candles burning all at once. And with cats who at times seem like something is after them and they have to FLY through the room into the next, I prefer not to have too many candles burning. I also prefer to have the candles I burn be jar candles or tea lights in a “jar” or votives in a “jar”. Something where the flame is not exposed. If I am sitting in the room then I can handle a bare flame candle, but I am most comfortable with jar candles. There are so many that I love. There was a candle at the grocery store that I was buying at least once a month. I stopped when I ended up with a small stockpile. But when I ran out the display seemed to have disappeared. I think I saw it at the other end of the store, but I don’t walk in that way and forget about it. So . . . I don’t have a stockpile of those ones. But I do have a stockpile of my other favorite candles. They are Terra Vela candles you can buy them online from www.TerraVela.com, but we usually stock up at an Art and Wine Festival. They are the kind of candles that smell good without even having to burn them. The room a candle is in will smell like the candle just by being in there. It is so awesome. That means, for me, I can get the scent of the candle without having to burn it. I can just have it on the table next to me for a bit. 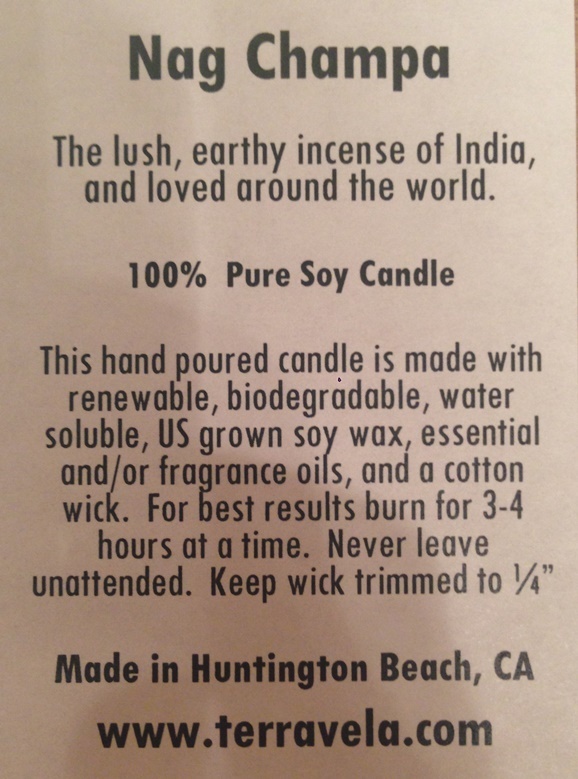 Then when I burn it I can smell the scent, too. To me those candles are like double the time you get to enjoy the scent. As you can see there are several scents that we like. Actually a couple of these are new to us. We bought them the last time we saw her. As I was taking the picture the scent was amazing. I am looking forward to using the Khaya. I have another one, Creme Brulee, I think, on my table right now. It is almost done and I think Khaya will be my next one to burn. 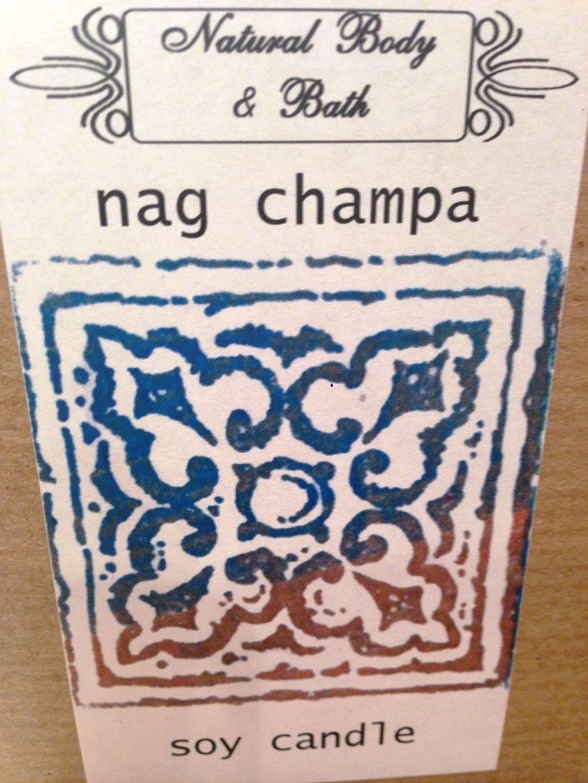 Nag Champa is my favorite. I don’t know how to say it, but it smells divine. That is my FAVORITE. She has a lot of different scents so I am sure you can find something you love. But one of the reasons I like to buy from her at a festival is so that I can smell them all. It is raining here, to me that is candle burning weather. So I have candles on my mind. 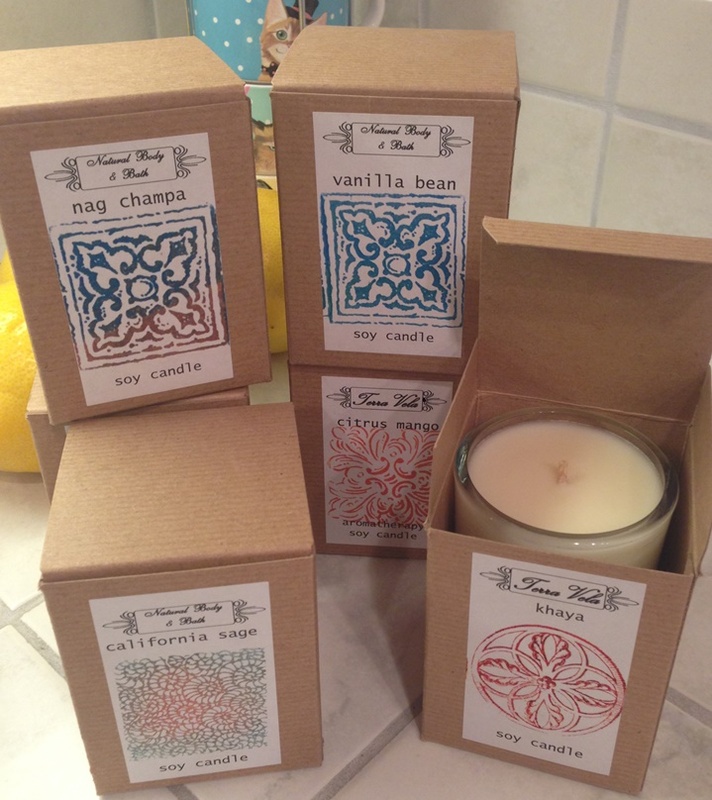 That is why I am posting about them because I was thinking about the lovely scents of these candles and I thought I would share in case you love burning candles as much as I do. Candles make a great gift, too. Another thing I love about candles. What do you think? Do you like candles? Which do you like to burn? Do you have a favorite scent?